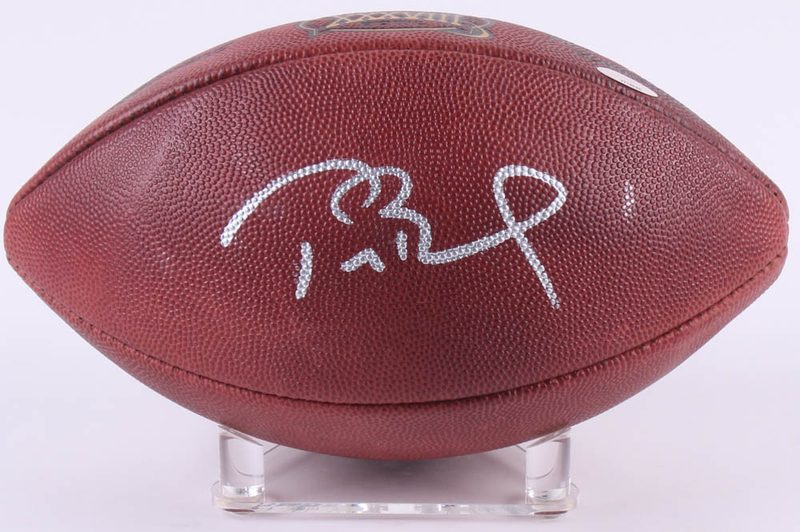 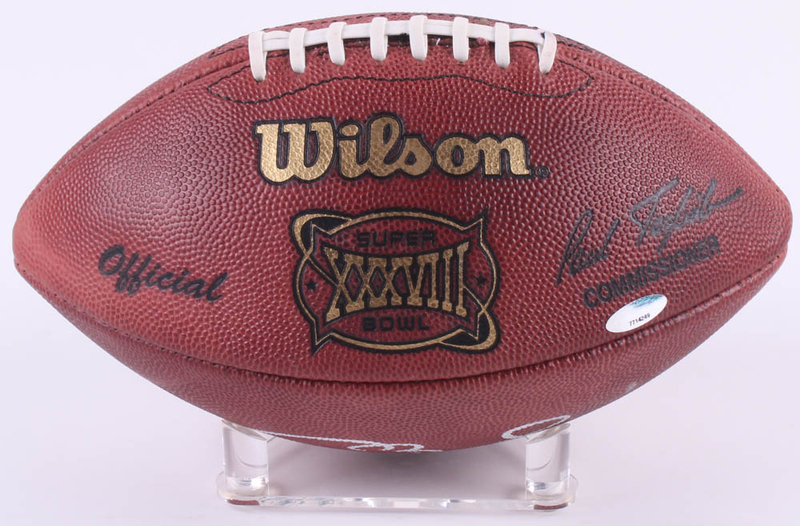 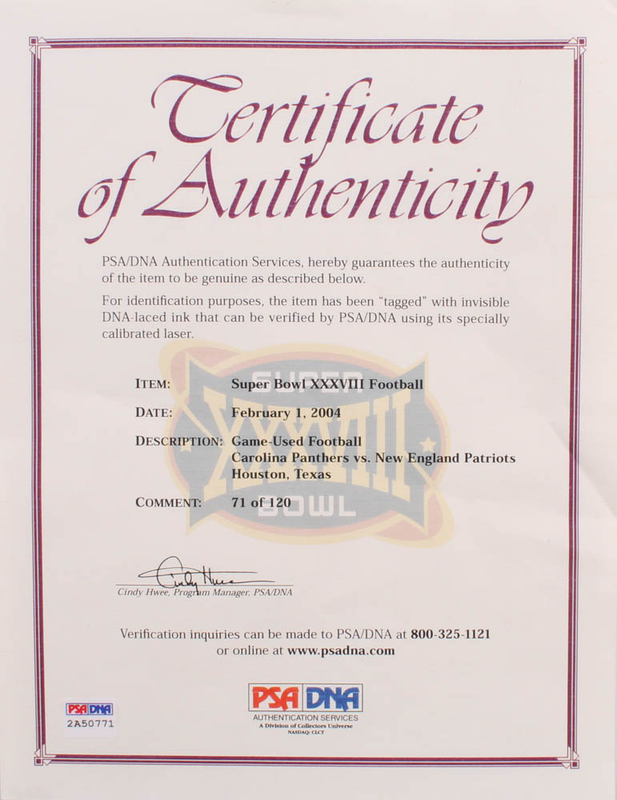 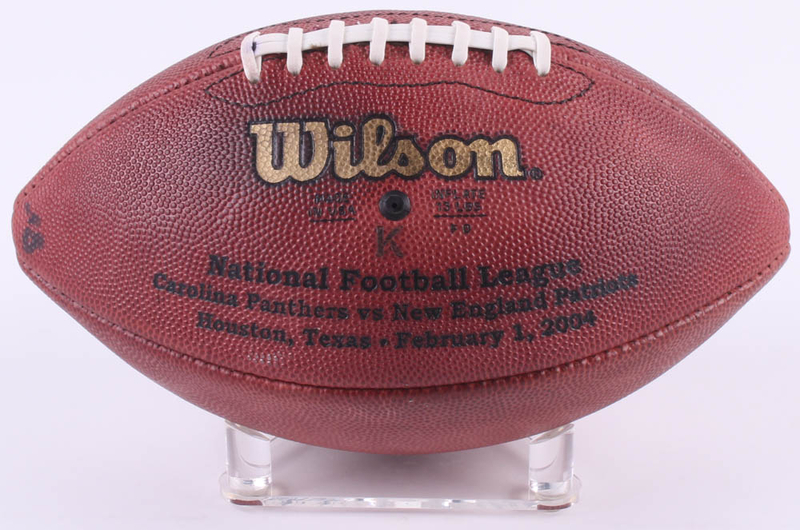 Wilson Official Super Bowl XXXVIII Football was game-used on February 1, 2004 and has been hand-signed in silver felt-tip pen by Tom Brady (Patriots). 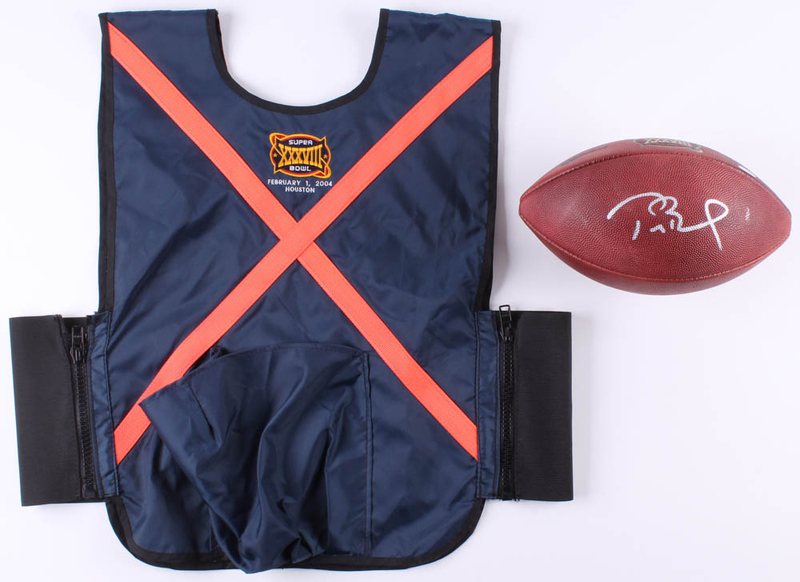 Super Bowl XXXVIII ball boy vest is alos included. 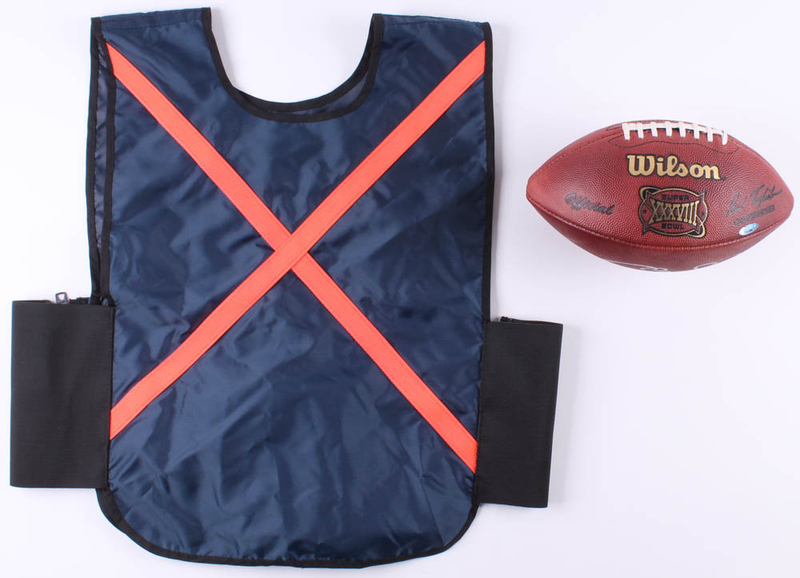 Please note, vest is unsigned. 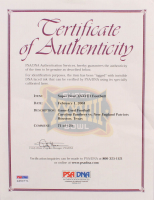 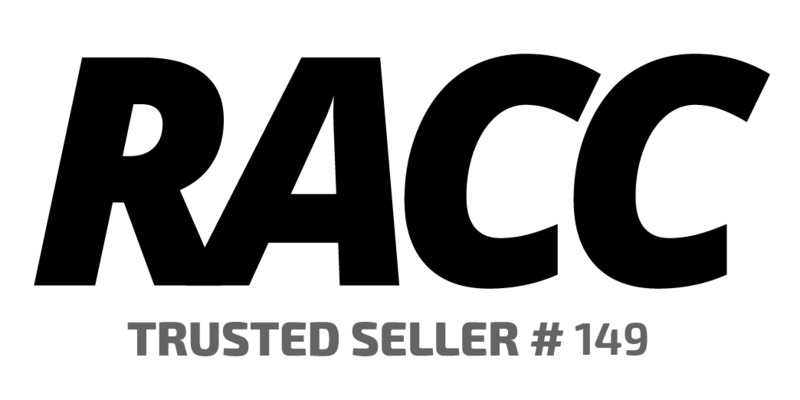 The lot / autograph(s) includes an official PSA/DNA hologram and matching COA as well as an official TriStar hologram for authenticity purposes.